Looking For a Roofer Near Me? Looking for a roofer near you? We’ve been replacing and repairing roofs in neighborhoods all over Maricopa County for over 20 years. Over the past 20 years, Rene Palomino has built Express Roofing from the ground up. The story of this roofing company started with Rene working his way up from journeyman roofer to managing teams of roofers, to roofing contractor and owner of Express Roofing. This family-owned roofing business was built on a foundation of excellent customer service, integrity, and top quality craftsmanship. We treat our customers the way we want to be treated. It means that if you want to hire a roofing contractor who is local, who knows your neighborhood, and who has references from people who live nearby, you want Express Roofing LLC. Chandler: Our roofing clients in Chandler are as diverse as the community, including hi-tech entrepreneurs, new families, business people, and retirees without any cares beyond how to improve their golf game. It is amazing to see how much the area has grown over the past 20 years. Fountain Hills: Our crews love working on Fountain Hills roof because they get to take lunch breaks near the water at Fountain Park. Gilbert: The growing Gilbert area keeps us busy with roofing projects both new and re-roof jobs. It sure has outgrown its “hay shipping capital of the world” designation. Mesa: Our family calls Mesa home. We’ve loved spending the past 20 years here, and look forward to 20 more. If you see a new roof on a Mesa area home, be sure to ask the homeowner if Express Roofing completed the job. Paradise Valley: We love our Paradise Valley customers. They’re always so happy to get the kind of quality work and customer service they expect, that they give us great reviews. Thanks! Phoenix: We do a lot of work in Phoenix, and always take advantage of the opportunity to visit some of the city’s outstanding restaurants. Queen Creek: While part of Queen Creek is technically in Pinal County, we consider it part of the Maricopa County community. Scottsdale: Well, what else is there to say except, “Spring Training!” We love it. 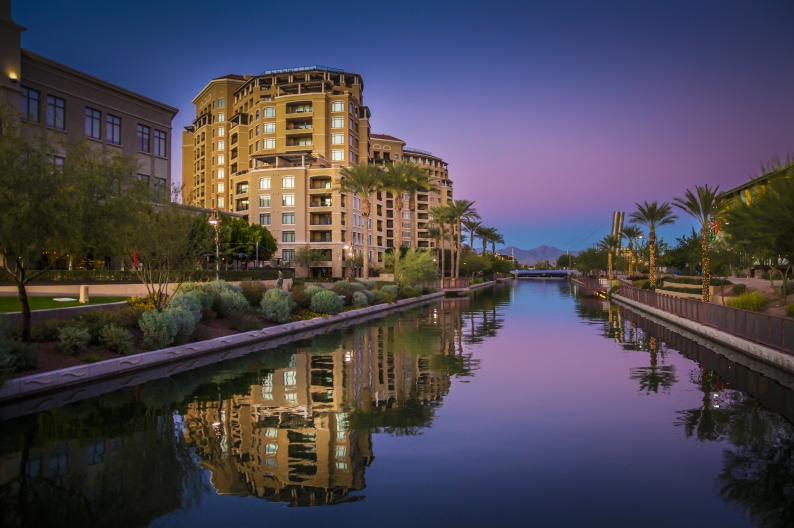 Tempe: It’s in the middle of everything, which makes Tempe one of our favorite places to work. We’ll often have crews heading to a quite a few Tempe sites on the same day. We consider ourselves the best roofing contractors in Phoenix and the surrounding areas. Find out why here. Check out our more than 98 positive reviews on the Better Business Bureau. Read our more than 50 outstanding reviews on Google. Don’t forget about our 88 verified Home Advisor Reviews. Give us a call. We’d love to come out and meet you. Estimates are free and friendly. We hope to hear from you soon.